Sahib and the Crew Save the World: Make Gun Ownership and Carry Mandatory! 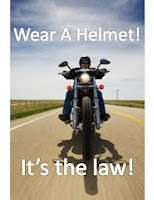 Perhaps it is my Libertarian streak, but I'm not in favor of mandatory helmet laws for motorcyclists, or mandatory seat belt laws for motorists. Under 18, no problem, let's make sure those children are protected. Adults should be able to make their own decisions about such things. Don't get me wrong, I think if you ride/drive without such safety precautions you are making a mistake, but hey, the world needs organ donors. What have we always been told about seat belt and helmet laws? Over and over, nanny statists have justified such laws because of the cost to the public of people who don't wear seat belts and helmets. You know, the medical costs, insurance premiums, blah blah blah. Why should the taxpayer be on the hook because someone doesn't want to take basic precautions to protect themselves, right? Well, what's good for the goose......Why not extend the libs own argument to gun ownership and carry? I propose legislation be enacted requiring all adults who can currently legally purchase and own a handgun to do so immediately. Better yet, why doesn't the government issue a gun to all those citizens? In addition, those adults will be required to carry said firearm with them at all times. What happens now when some liberal anti-gun zealot gets raped in their home, or violently assaulted on the street? 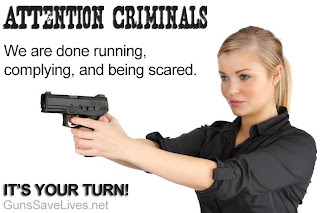 Because they refuse to carry a defensive firearm, all they can really do is react when the crime is over. They call 911, police officers are dispatched. An ambulance and paramedics rush to the scene. All of this requires tremendous expenditures of public monies. Now you add in the man-hours logged by police investigating the crime, attorney fees/court costs if the perpetrator is apprehended, and ultimately the enormous costs of incarceration, and you end up with a financial boondoggle that even Dear Leader might cringe at. Think of the tens of millions, maybe hundreds of millions of dollars that could be saved if we would just start whacking a few more criminals! Even at today's inflated ammo prices, delivering a "brass verdict" on the street only costs a buck or two. I haven't even mentioned the deterrent effect on future criminals that would undoubtedly result from this new policy. Remember Jefferson's words..."An armed society is a polite society". We will call this new legislation the SACSTW Firearms and Individual Responsibility Enactment, better known as FIRE! Maybe instituting this new legislation nation-wide might be too much at first. Let's test it out in the areas it is needed most, you know, like cities over 250,000 in population governed by a Democrat. As a responsible carrier of a defensive firearm, I am tired of my tax money going to clean up after those people who refuse to make a commitment to their personal safety. 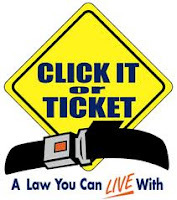 If I have to be buckling my seat belt, then you better be packing your gun. Alas, I am skeptical of the chances of FIRE passing Congress, after all that would require liberals to disregard one of their basic tenets.....hypocrisy.